LEDON Explore has many springers on the savannah. The springers can withstand even the most enthusiastic cowboys or hunters! The series includes equipment for children large and small, and even the most energetic are well catered for. Whether you choose the giraffe, the rhino, the zebra or something quite different. It’s fun to rock, but it’s also important. Keeping a springer rocking exercises the whole body. This physical exercise is very healthy, but it also benefits a child’s proprioception. 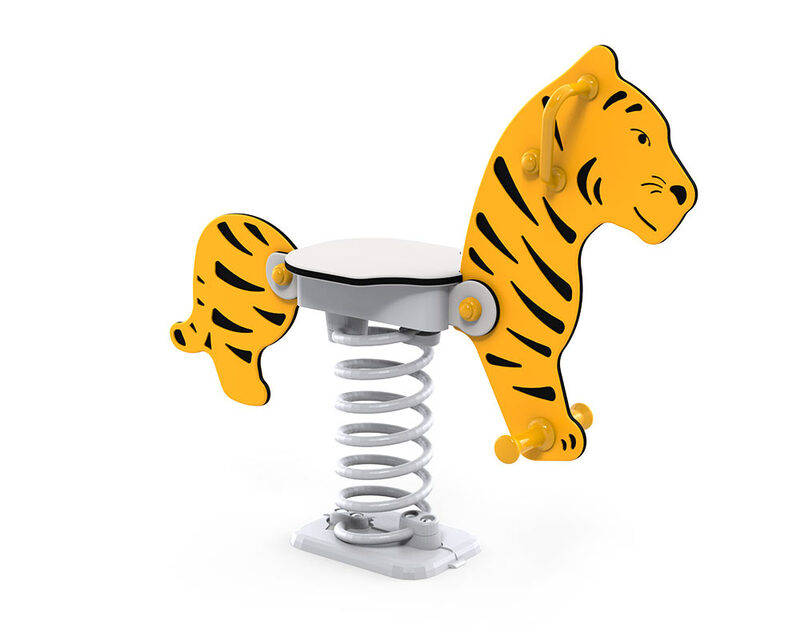 Rocking back and forth gives the child a strong sense of cause and effect, while at the same time stimulating the vestibular sense, which strengthens balance and learning. None of the springers in the LEDON Explore series requires special maintenance, and they are designed with non-slip seats. The ergonomic nylon handles minimise the risk of eye and dental injuries, while also ensuring that small fingers do not stick to the surfaces in freezing weather.